At the core of every Crazy Legs project is a story illuminating human perseverance. While our portfolio contains a range of genres, formats and subjects, we strive to produce compelling work with integrity and heart. And we're always looking for the next big idea or exciting new concept. Send us your pitch, let's see if we can do business together. Crazy Legs offers a comprehensive intern program. Each Spring, Summer and Fall, a select group of newcomers work directly with our seasoned staff, gaining hands-on experience in everything from development to post-production. It’s an opportunity to contribute, learn, and establish important connections. We look forward to reviewing your application. 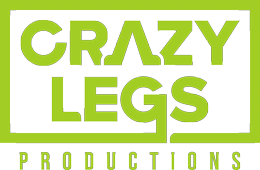 Crazy Legs is always looking for passionate game-changers to join to our award-winning team. Experienced professionals with outstanding skills, creative talent, and positive attitudes are encouraged to submit their resumes. Our needs depend on the amount and types of projects we’re producing, so don't be discouraged if we aren't the right fit just yet.